For startups one of the main concerns along with growth is getting funded. Apart from all the nitty-gritties of a startup, there are also government regulations and rules to be taken care of. This becomes quite a hindrance while raising funds and frustrates founders a great deal. Ather Energy, an electric vehicle startup focused on designing high-speed electric two-wheelers for the Indian market, recently raised $1 Mn in funding from Flipkart founders, Sachin and Binny Bansal. There has been a lot of buzz of this funding, but this deal is also important because it set more than one important milestone in the funding of early stage startups in India. Unlike other startups, for Ather’s founders, the way they raised funding, the tension free and the smooth process they witnessed added much more joy to their fund raise. Ather Energy’s seed round was the first round to use standard deal terms in India. Dubbed the Series Seed India documents, these documents were prepared and open-sourced under the creative commons license by TermSheet, a Chennai startup that is looking to disrupt the way early stage funding works. Vivek Durai, the founder of Chennai startup Humble Paper and of the startup community filterkaapimafia, noticed that the fund-raising experience of most fellow founders in the community was a sub-optimal experience. Vivek also noticed that a number of founders are savvy enough to get through to a few angel investors but face significant challenges stitching together a larger seed round. TermSheet is a product that provides a solution to these problems. We caught up with Vivek to understand the idea, how it helps startups and investors and the way forward. Inc42: What is the idea behind Termsheet.io? Vivek: TermSheet is a deal closing platform that seeks to do more than just match-make between angel investors and startups. We’re re-engineering the way seed funding works. We’re starting small by helping a few select startups streamline their fund raise. TermSheet is driven by the idea that a fund raise is as much a user experience problem as any other. Inc42: How does Termsheet help in standardizing documentation? Vivek: Our first goal was to introduce standard deal terms to funding in India. And we did that. Our second goal was to get investors and startups to use those documents and to realize the difference it made in their deal. We partially accomplished that by kickstarting it with a $1 Mn raise in Ather’s case and with marquee investors like Sachin and Binny. Full credit for that goes to founders like Tarun Mehta and Swapnil Jain of Ather who were willing to think out of the box and trust that a fellow startup could help them through this process. We think that using standard and transparent deal terms is highly disruptive to existing angel platforms in India and that can only be a good thing. We want see an increase at the base of the startup funding pyramid. Talented founders with great products should get seed funded. Period. Instead today, most startups spend too much time chasing investors believing that ‘the hustle’ is all it take to create a great company. Inc42: How does Termsheet works for Startups? Vivek: TermSheet works with a select set of founders to help them achieve their funding goals. TermSheet also works with startups that have investors in hand but want a better way of closing the investment (the usual experience involves running after lawyers, chartered accountants and company secretaries and then managing all kinds of paper work and signatures). Inc42: How does Termsheet work for Investors? Vivek: The startups that we help have been vetted by us. Their paperwork is in place. They have initial traction or a fantastic product. Plus the deal is orchestrated and closed by us without any hassles for the investor too. Inc42: How is Termsheet different from other venture funding companies and facilitators out there? Vivek: We don’t want to be seen as a broker or an intermediary merely facilitating a meeting between individuals with cheques in hand and founders looking for money on the other hand. There is a nuance to this that many founders and investors miss. TermSheet is about a particular way of helping startups get funded in a meritocratic way. Our goal is to meritocratize early stage funding. That said there are a number of other differences and we’ve elaborated on them on our website. 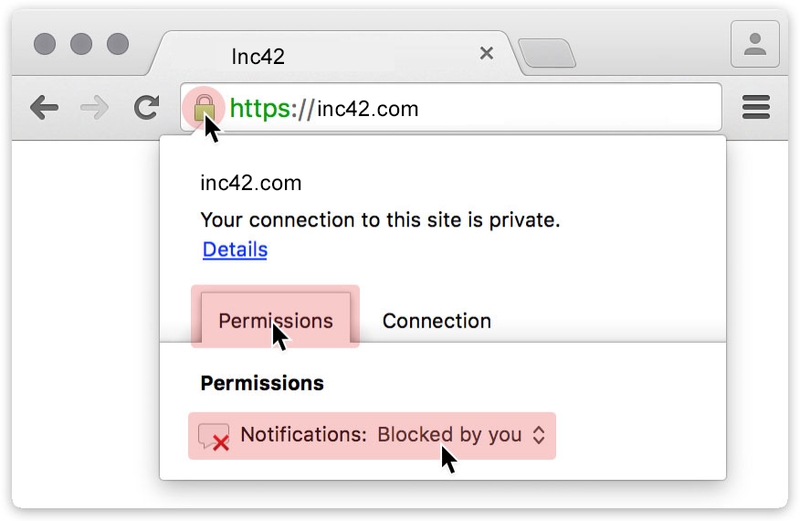 Inc42: How has the road been so far? Can you share any high points of the journey? Also what are your future plans with Termsheet? Vivek: We just achieved our first success story today with Ather Energy. They are an electric vehicle startup in Bangalore and secured a seed funding of $1 Mn by none other than Sachin and Binny Bansal. All their documentation and legal compliance stuff was taken care of by Termsheet.io. Apart from that we are focusing in a big way on international markets, especially the United States and UK for both investors as well as startups. We’re also considering a neighbouring market – Singapore. A major chunk of investment potential lies with NRIs based in different parts of the world and we are also trying to understand the international market as a whole.